Tai Shu Do 太術道 when translated is "The Way of Supreme Techniques" and it is a fantastic style of martial art for both self defense and physical fitness. Tai Shu Do major influences are American & Muay Thai Kickboxing, Kenpo Karate, Aikido, JuJitsu, and Shaolin Iron Tiger Kung Fu. There are also many various minor influences. Kung Fu means "skill and effort" and can describe anything that one needs to spend time training in and becoming skillful in. When it means "martial art," Kung Fu refers to the hundreds of styles of martial arts, all of which are different. However, there is one thing that all martial arts have in common and that is the idea that Kung Fu itself is merely skill of techniques. The real value of martial arts goes beyond self defense. It lies within the strong traditional training that all Kung Fu styles emphasize: training that teaches the student to respect the teacher and the teacher's advice; to be respectful towards other Kung Fu styles and to only use Kung Fu in a morally correct manner. This is why we refer to Tai Shu Do as Kung Fu. 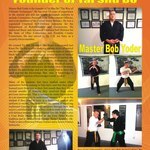 Bob Yoder's Kung Fu Academy has been offering instruction and training in Kung Fu, Kickboxing, and the Martial Arts since 1993. Located in Grove City, OH, Bob Yoder's Kung Fu Academy has produced champions in life as well as in the martial arts. We are a non-profit organization. All fees & donations go towards equipment, improvement , and promotion of the academy. Along with donations to various charities. Headed by Bob Yoder (Founder) and a staff of expert instructors and managers, Bob Yoder's Kung Fu Academy offers a number of programs for physical fitness and instruction in Kung Fu, Kickboxing, and the Martial Arts. The meaning of life is to find your gift. The purpose of life is to give it away. Though out my 38 years in the martial arts I have come to realize that I've found my meaning of life was finding my gift which is the martial arts. Hence now my purpose of life is to give it away which I do so by teaching and sharing the martial arts with others. “Practical art for todays environment” – that is one of the mottos of our school. 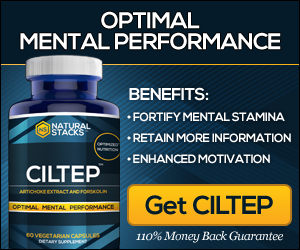 One of the aspects of martial arts training is… well, combat. We at Bob Yoder's Kung Fu & Kickboxing Academy use various modes of combative practice, as well as skill testing. Please visit our new facebook page at by clicking here and become our friend. We invite you to come and visit our facility located at 2048 Sondra Lane, Grove City, OH and consider enrolling in one of our outstanding programs. 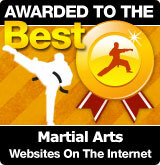 You can also reach us through Martial Arts training facility. We hope to meet you in the near future. Take care & God Bless!! !